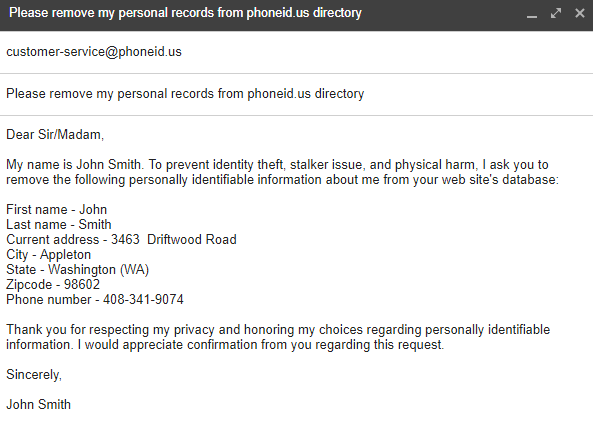 PhoneID.us is US phone directory. Provides complete owner and contact information for landline and cell phone numbers. How to remove yourself from phoneid.us? Write the removal request and send it to customer-service@phoneid.us. Here is an example of the opt-out request.